Your family is always there to give you support – not just emotional, but sometimes financial as well. For instance, your family members can be of great help for saving on taxes. However, all your investments and spending for your family are not eligible for tax rebates. There are rules and some of them are pretty complex. To make things simpler, here we list 7 perfectly legal ways your family can assist you cut your tax bill. 1. Buy health insurance for the family: A medical insurance is a necessity that helps you save taxes. If you buy it only for yourself, you can save up to Rs 15,000, but if you buy it for the whole family (including your parents), you can save up to Rs 40,000. Under Section 80D, a deduction of Rs 15,000 can be claimed for the health insurance premium and preventive healthcare check-up costs for yourself, spouse and your children. If you decide to protect your parents as well, you get an additional deduction of up to Rs 20,000, if they are senior citizens. Otherwise the regular Rs 15,000 limit is also applicable for your parents. Also, this deduction is available irrespective of whether the parents are financially dependent on the taxpayer or not. So, if your wife is an earning member as well, she can use the same strategy and reduce the taxable income of the family by buying her parents a plan as well. 2. Invest through your spouse: Exhausted your 80C limit? Gift some money to a non-earning spouse and invest that in a tax-free instrument. There is no upper limit to the amount you can give as your spouse is in the list of specified relatives whom you can gift any sum without attracting a gift tax. However, the taxman is not foolish. If you invest the gifted money, the Section 64 of the Income Tax Act, a provision for clubbing income, comes into play. Therefore, the escape route is by investing in a tax-free option such as a PPF or ELSS scheme. Also, there is no tax on long-term gains from shares and equity mutual funds. So, if you invest in them in your spouse name and then hold for more than a year, there will be no additional tax liability. What’s more? When you re-invested these earnings from the investment, it will be considered the spouse income and you’ll have no further tax liability on that money. You can use this strategy even if your spouse is earning, but falls in a lower tax bracket. Similarly, you can also invest in your parent’s name and the best part is the clubbing rule won’t be applicable here. Also, there is no gift tax on the money you give to your parents. So make use of their a basic tax exemption limit—Rs 2 lakh for up to 60 years, Rs 2.5 lakh for people above 60 and Rs 5 lakh if they are above 80 years of age. In case, they are exceeding the exemption limit, help them save taxes by investing in a tax-free option. 3. Loan money to spouse: Another way to avoid tax is by showing the monetary transaction as loan. So, for instance, if you buy a house in your wife’s name or transfer the second property to her, the rental income from it will not be treated as your income if she pays you a nominal interest on the loan. She can also transfer her jewellery worth the value of the property in your favour. Then also the rental income from that house would not be taxable to you. Even your fiancee (or, fiance) can help you save taxes. “If a couple is engaged, and the one of them does not have any taxable income or pays tax at a lower rate, her fiance can transfer money to her. The income from those assets won’t be included in his income because the transaction took place before they got married,” says Sudhir Kaushik, co-founder and CFO of Taxspanner.com. One can give up to Rs 2 lakh (the tax exempt limit) without putting any tax liability on the partner. 4. Children can help as well: You must be already claiming a deduction for the education fee of your children. You can also gift your minor child some cash. But if you plan to invest that amount, the income will be clubbed with that of the parent who earns more. To avoid clubbing of your child’s income, you may invest in tax free instruments such as PPF, mutual fund (MF) or ULIP. Open a minor PPF account in the name of your child and it won’t be taxable. However, there is a limitation to this option—the contribution to your own PPF account and that of the child cannot exceed the overall limit of Rs 1 lakh a year. You can buy a child plan from an insurance company or invest in an MF. The premium paid (or investment made, in case of MFs) by you for your child’s future qualifies for a deduction under Section 80C of the Income Tax Act, 1961. A private trust for your child can also be created to save tax. For salaried employees, investments for tax planning must have prudent asset allocation of debt and equity. This will ensure that such investments made every year not only save on tax outgo but also build a corpus in the long-run, which is inflation protected. At present, one of the most important components of tax savings is Section 80 C of the Income Tax Act, 1961. An individual can invest up to R1.5 lakh in a fiscal year in financial instruments like Public Provident Fund (PPF), life insurance premiums, five-year bank or post office fixed deposits, five or 10-year National Savings Certificates of India Post, employee’s contribution to provident fund, Equity-Linked Savings Scheme (ELSS) of mutual funds and unit-linked insurance plans (Ulips) of life insurance companies. Moreover, a tax-payer can avail an additional exemption under Section 80CCD of R50,000 by investing in government’s National Pension Scheme which is a mix of equity and debt instruments. Employees’ Provident Fund (EPF): Those working in the organised sector is covered by the Employees’ Provident Fund Organisation (EPFO), which invests mostly in debt instruments. From August this year, EPFO has been investing 5% of its incremental corpus in Nifty and Sensex-based exchange traded fund. An ETF is a basket of securities that tracks the stock prices of the companies on an underlying index, and is traded on the exchanges. It comes with a much lower expense ratio. The EPF is country’s largest defined contribution and publicly managed plan and the employee’s contribution gets tax exemption. Employees in the organised sector are required to participate in provident funds and pension plans administered by EPFO and it covers 14% of the workforce. National Pension Scheme (NPS): The biggest benefit for tax payers in this year’s Budget came in the form of investment in NPS. One can avail tax benefit on investment of up to R50,000 in a year under Section 80CCD, which is over and above the benefit available on R1.5 lakh under Section 80C. For non-government employees, up to 50% of the contribution can be invested in equities and the rest between corporate and government debt paper. It has given a return of around 11% and is an ideal tax-saving investment with equity and debt exposure. After retirement, a subscriber can withdraw 60% of the corpus and buy annuity from the rest 40% of the accumulated corpus. Subscribers of NPS Tier 1 account can now make partial withdrawal of up to 25% of contributions for certain specified circumstances after 10 years of being in the scheme. Equity Linked Savings Scheme (ELSS): It offers the twin-advantage of capital appreciation through investment in stock markets and tax benefit. The lock-in period of the investment is three years and there is minimum turnover in portfolio. One can invest a minimum of R500 a month in ELSS through a systematic investment plan of mutual fund and can stagger the investments, which would, in turn, bring down the risk sizeably. Money is debited automatically from the investor’s bank account through the ECS mandate and units are allocated based on net asset value applicable for the day. ELSS schemes are open-ended, that is, investors can subscribe to the fund any day. Unit Linked Insurance Plans (Ulips): They are essentially market-linked insurance scheme that offer tax saving options under section 80C of the Income Tax Act. Ulips offer the advantage of life cover with an investment in equity and debt markets. The lock-in period is for five years. One can also opt for a debt market-linked Ulips and move to equity when the market is moving up to attain higher returns. National Savings Certificates: These certificates are available at post offices and one can opt for a 5-year or 10-year tenor. The amount is invested in debt and deposits made by individuals qualify for tax rebate under Section 80C of I-T Act. The interest accrue annually and is deemed to be reinvested under Section 80C of I-T Act. The 5-year certificates give 8.5% interest compounded six monthly but payable at maturity. So, R100 invested grows to R151.62 after 5 years. Similarly, the 10-year certificates give return of 8.80% compounded six monthly but payable at maturity. Here R100 invested become 236.60 after 10 years. The certificates are available in denominations of R100, R500, R1,000, R5,000 and R10,000. The minimum investment is R100 and there is no maximum limit. However, one can get tax exemption by investing up to R1.5 lakh a year. Five-year term deposits: For risk-free investors, five-year bank or post office deposits can also get them tax benefits under section 80C of I-T Act. The tax benefit can be availed in invested for the fixed tenure without premature withdrawal and one can invest up to R1.5 lakh. Bank will issue a fixed deposit receipt for claiming tax benefit and the deposit under this scheme cannot be pledged to secure a loan. An investor will have to pay tax on the interest earned on these term deposits on the basis of annual accrual or receipt, depending upon the method of accounting followed by the assessee. From August this year, EPFO has been investing 5% of its incremental corpus in Nifty and Sensex-based exchange traded fund. Employees in the organised sector are required to participate in provident funds and pension plans administered by EPFO and it covers 14% of the workforce. The biggest benefit for tax payers in this year’s Budget came in the form of investment in NPS. One can avail tax benefit on investment of up to R50,000 in a year under Section 80CCD, which is over and above the benefit available on R1.5 lakh under Section 80C. ELSS offers the twin-advantage of capital appreciation through investment in stock markets and tax benefit. The lock-in period of the investment is three years and there is minimum turnover in portfolio. Ulips are essentially market-linked insurance scheme that offer tax saving options under section 80C of the I-T Act. Non-resident Indians (NRIs) may sell their property in India, either to seek capital appreciation on their investments, or they may want to dispose of their properties in India in order to acquire some assets in their country of residence. It is imperative that they understand the applicable tax rules and regulations with respect to such a transaction. Any profit earned through sale of property is taxable as capital gains. In case the property is held for more than 36 months, the gains are classified as long-term capital gains (LTCG); else, they will be classified as short-term capital gains (STCG). STCG is taxable at the applicable slab rates; however, LTCG on the sale of property is taxed at a beneficial rate of 20%. 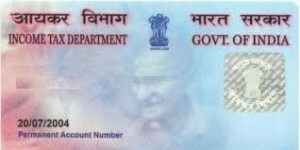 The law also allows an indexation benefit in case of LTCG. Indexation basically factors for the effect of inflation by applying the cost inflation index (CII) resulting in a higher Cost of Acquisition (CoA). Investment in property: The individual taxpayer may claim exemption of LTCG arising on sale of a residential house property/ land, through purchase of another residential house in India. LTCG on sale of a residential house property can be claimed to the extent of capital gains utilised LTCG on sale of a land can be claimed to the extent of sale consideration utilised. To avail this benefit, one must ensure that the new house property should be purchased within one year before or two years after the sale; or this can be claimed if a new property is constructed in India within three years from the date of sale of property. Investment in specified bonds: LTCG can be claimed as exempt from tax if the capital gain is invested in specified bonds (NHAI and RECL bonds), within six months from the date of sale of property, up to R50 lakh. NRIs may further evaluate the benefits as may be available under the relevant Double Taxation Avoidance Agreement which India has with their country of residence while computing their capital gains tax liability in India. For the sale of property by NRI, the buyer is under an obligation to deduct tax at source while making the payment of sales consideration. Tax is required to be deducted @ 20% in case of LTCG and at applicable slab rates in case of STCG. The mechanism of such tax deduction at source was introduced by the government in order to ensure the appropriate collection of tax from NRIs who are mostly based out of India. As the above mentioned benefits and exemptions can only be claimed by the NRIs at the time of filing their India tax return, they need to apply for Tax Exemption Certificate from the I-T department if they would like Nil/ lower tax deduction on such transaction. Under Section 197 of the Act, NRIs can obtain Tax Exemption Certificate on the basis of estimated capital gains tax computation and submission of relevant documents. After going through the information furnished by the NRI, the jurisdictional Assessing Officer/ Tax Officer may issue a certificate authorising the buyer of property to deduct tax at a lower rate or nil rate as the case may be. Author adminPosted on February 3, 2016 Categories Income Tax return1 Comment on What to expect from Budget 2016?